Joseph Cornell, the most poetic and mysterious of American artists, was born on December 24, 1903 in Nyack, New York. Diminishing family fortunes and a troubled family history brought him to Flushing, New York, where he lived a hermit-like existence with his mother and disabled brother on Utopia Parkway. 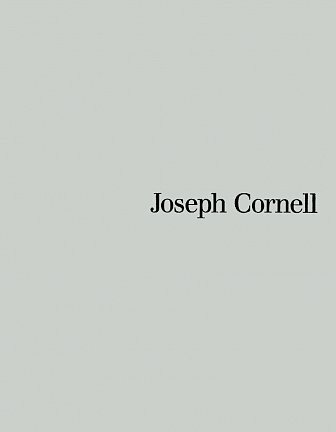 Cornell’s daily life was modest, but his inner life was complex and deeply romantic. His appetite for high and popular culture was vast, ranging from an interest in French literature to astronomy, ballet, opera and cinema. Cornell, a compulsive collector, compiled extensive dossiers on many of the above that included images culled from Fourth Avenue bookstalls. Beginning in the 1930’s, Cornell created his first collages and box constructions, mini-universes dedicated to obsessive themes such as the Penny Arcades and the Medici princes and princesses. As a leading American “Surrealist”, Cornell met other Surrealist writers and artists who had settled in the United States after the Second World War at the gallery of his dealer, Julien Levy. Cornell took particular inspiration from Max Ernst’s collage-novel La Femme 100 têtes. At this time, he began a life-long friendship with Marcel Duchamp, a relationship that strengthened their mutual propensity for the fetishized object. Both artists were included in the epochal exhibition Fantastic Art, Dada, Surrealism at the Museum of Modern Art, New York, in 1936.